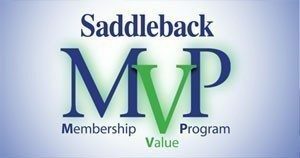 At Saddleback, we offer membership in our Member Value Program (MVP). We offer different program levels depending on your needs: a Plumbing Value Program, an HVAC program, and the ALL STAR Value Plan for Comprehensive Heating, Cooling, & Plumbing System Coverage. Of course, we recommend customers take advantage of the extensive ALL STAR Value Plan so they can have three major home maintenance services taken care of annually. Right now it’s time to think about air conditioning maintenance in Orange County. There are few regular service jobs more important in our climate than ensuring cooling systems work at their best. Our hottest days are extreme, and even the milder summer weather puts a strain on central air conditioning in homes. It’s one thing to say an AC maintenance plan helps your cooling system. It’s another thing to show it. Here are the ways these annual inspections and tune-ups help your home air conditioning system. Dependability: A cooling system that breaks down on you during the hottest day of the year isn’t much good to you. (And of course that’s when an AC will break down!) The inspections our experts perform ferret out where the AC may need repairs or special adjustments, and the other maintenance tasks lower the strain that can lead to breakdowns. Efficiency: Stress and wear make any mechanical device work harder. For an AC, accumulation of dirt, loss of lubricant, worn down electrical connections, and more can cause the cost to operate the system to rise each year. Maintenance keeps an AC working at its most efficient and your utility bills under control. Fewer Repairs: Even if a malfunction doesn’t cause your AC to stop working, it makes it necessary to arrange for repairs—an inconvenience that costs money. Professional maintenance reduces the repairs the system may need over its lifetime (stopping 85% of potential malfunctions). Longevity: How long do you want your AC to last? “As long as possible!” is probably your answer. Nothing can make an air conditioning system immortal, but annual maintenance will help an AC achieve that “as long as possible” goal, such as 15 years. The longer you can keep an efficient air conditioner working for you, the better your return on investment. Warranty: Most manufacturer warranties only remain in force if the AC has regular maintenance. You definitely want to keep this important protection current! And keep in mind, when you sign up for either the HVAC plan or the ALL STAR plan, you’ll also receive fall maintenance inspections and tune-ups for your heating system. Our technicians provide thorough, professional service no matter the job. Call Saddleback Plumbing to sign up for an MVP Value Plan and schedule your AC maintenance. We’ve proudly served Orange County since 1981.